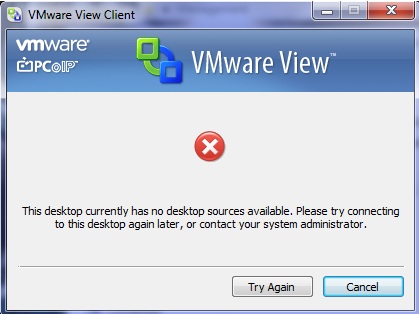 I’m pretty new for Vmware View 4 system. Today, I have decided to install an evaluation View 4 into my test lab and see how it goes. But I have encountered few interesting mistakes on the way. I would like to share them with everyone so you don’t need to make same mistakes. 1. 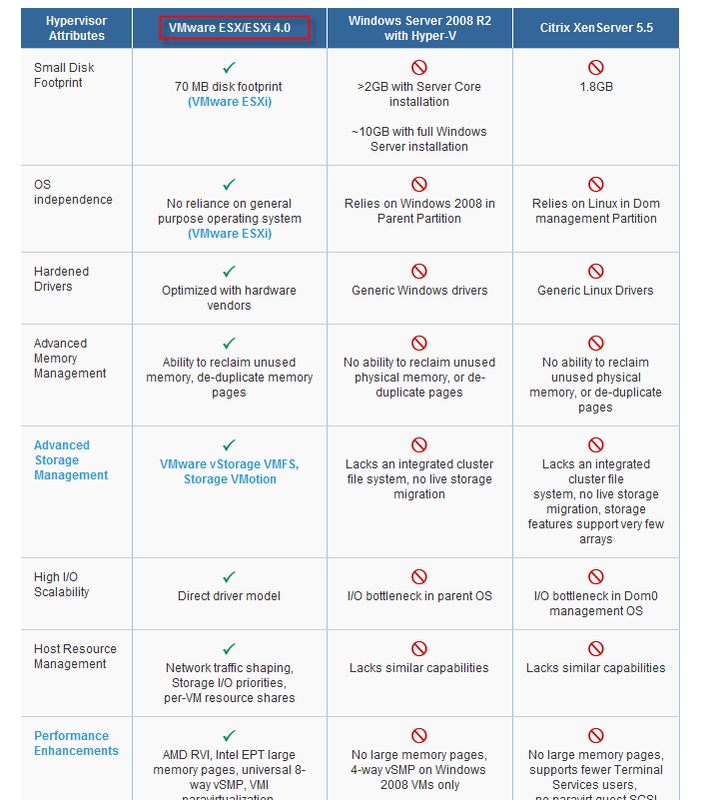 Windows 7 Support or not Support? Well, basically, I want to install W7 into View so I can use it in our production system in the future. I have installed the first View template (Windows 7 64bit) and tried to install View Agent on it. But it failed. System told me View 4 doesn’t support 64bit windows 7 as template (but View Client runs fine on W764bit). So I wiped it out and installed the 32bit Windows 7. After I setup everything, I tried to connect View from my client (Windows 7 64bit Enterprise). Authentication to View Connection is fine. but My View Client gives me black (blank) screen. Well, the reason for that is simple. View 4 is only supported Windows 7 32bit in TechView stage. Meaning you don’t get support for using W7. There are two solutions so far. Solution A: Using RDP protocol instead of PCOIP. Well, PCOIP is pretty new protocol which supports multimedia and 3D effect for your connection. But it doesn’t work well with W7. so you need to choose correct protocol when you try to connect to your W7 pool. Solution B: Change Windows 7 display drive and Video memory size. 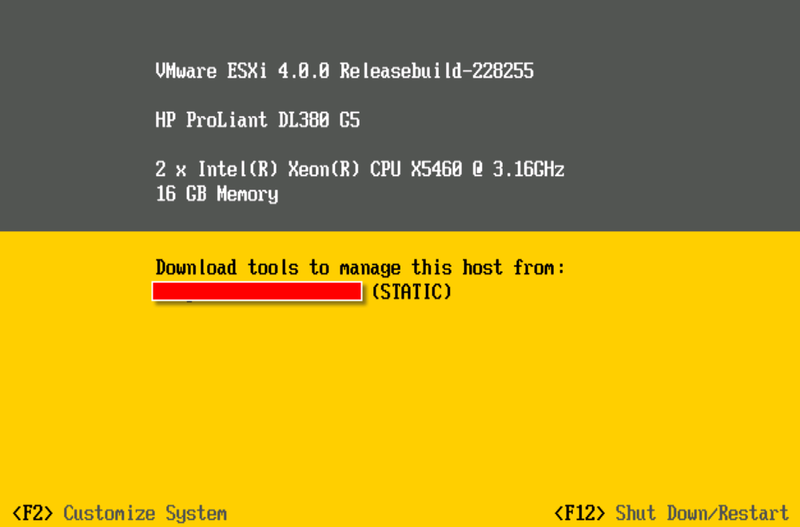 Basically, you can change default W7 driver (Vmware SVGA 3D) to VMWARE SVGA II. And also change the video memory to 40MB. Please follow this link to see the detail. Well, this is pretty common errors you will see when you try to connect to View from client. See as following picture. The actual root cause could be vary. I can give you few common mistakes. 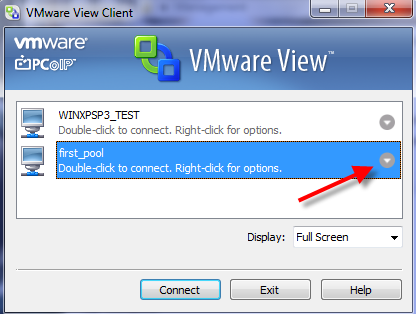 When I tried to build another pool (windows xp sp3), I forgot to install View Agent on the template windows. View Agent is critical for View and it helps Connection to understand whether this snapshot of template is occupied or not. It also helps redirect Printing and USB as well. If you made this mistakes, you need to reopen your template and installed agent. Then, refresh all snapshots after that. Essentially, View Connection server will run lots of script directly to vCenter. If vCenter hasn’t finished the tasks (you can see from recent task bar), it won’t be ready. View doesn’t do magic. It still relies on Windows DHCP and DNS to work. Basically, a new snapshot of your template need to be assigned an DHCP IP (when I tested in my lab, there is no DHCP, I have to manually assigned IP to snapshots) and DHCP needed to be registered in the DNS. If you are not able to ping your template from client computer, you won’t able to access your snapshot. So if you are hurry, you can run ipconfig /registerdns on snapshot and ipconfig /flushdns on client to manually refresh DNS record. Those just some basic mistakes we may encounter. Please leave your comments if you run into more errors.